Manipur based proscribed United National Liberation Front (UNLF) has claimed responsibility for the grenade attack at the entrance gate of Mapal Kangjeibung in Imphal. The blast left four people including three Assam Rifles personnel injured. Director M Sak-hen of the UNLF’s department of publicity in a press statement issued here said that the attack was carried out by a two-man special team of Manipur People’s Army, the armed wing of the outfit to target only the Indian military forces under a strict instruction to avoid damage to civilians as far as possible. Stating that the special team members of the outfit who carried out the attack have been congratulated and reached their unit safe and sound, the outfit will continue its offensive. 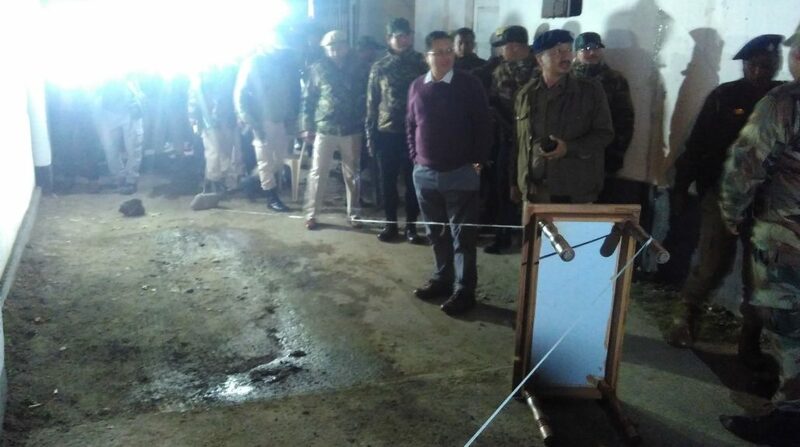 It may be worth mentioning here that three personnel of 6 Assam Rifles including a warrant officer and two havildars sustained injuries along with a sugarcane juice maker during the twin grenade attack that took place around 6.10pm on February 7. Assam Rifles personnel were preparing for the annual equestrian tournament at the Mapal Kangjeibung located in the heart of Imphal town, is the oldest living polo ground. On Friday morning, a search operation was conducted by a combined team of police commandoes of Imphal west district and 6 Assam Rifles at the periphery areas of polo ground wherein many persons were verified and few of them were detained for verification as they failed to bring out their identification documents, sources said. The morning search operation was followed by a similar operation along the stretch of Paona market near Usha cinema hall in the city. After the blast, except the main and VIP entrance gate, the usual entrance gate of the Mapal Kangjeibung has been closed. Meanwhile, the Manipur Horse riding and polo association, Manipur Equestrian Association and Manipur pony society have appealed to avoid such attacks at Mapal Kangjeibung in future, according to a press release.